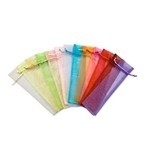 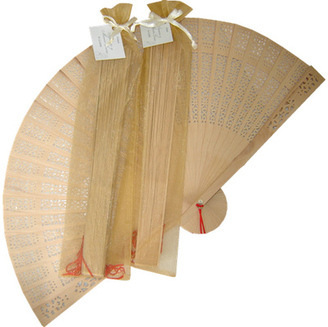 Our sweet smelling Sandalwood Fan Favors are perfect for wedding and party favors. 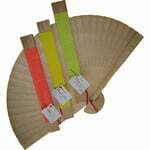 These beautiful wood folding fans are handmade, therefore feature intricate assorted designs and assorted coloured tassels. 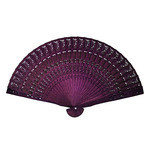 These intricately carved wood fans measure approximately 21 cm in length when closed and are supplied in an organza bag in a colour of your choice.